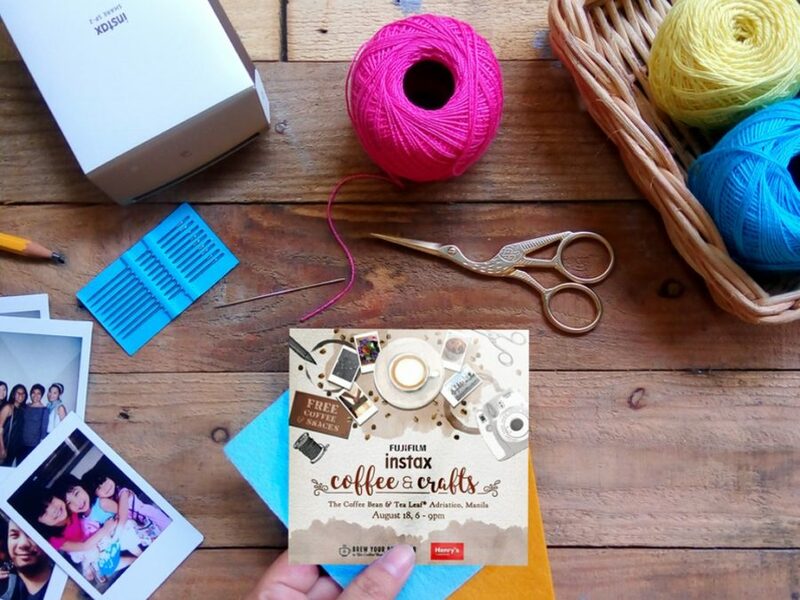 I’ve always loved printing and collecting photos as keepsakes! I also enjoy documenting and organizing them into albums or scrapbooks. I bought my Instax Camera early this year and it has been such a fun tool for my journaling and memory-keeping. 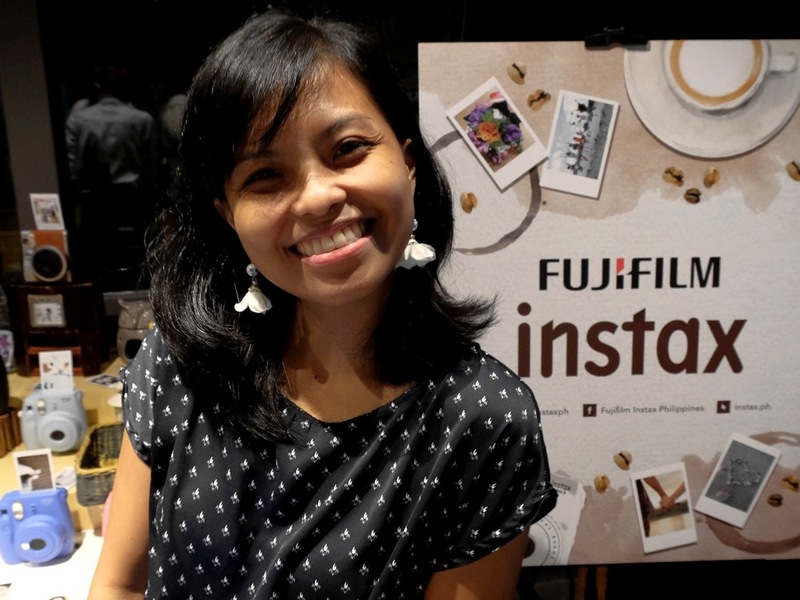 So I must say my current partnership with Fujifilm Instax is something I’m really excited about! 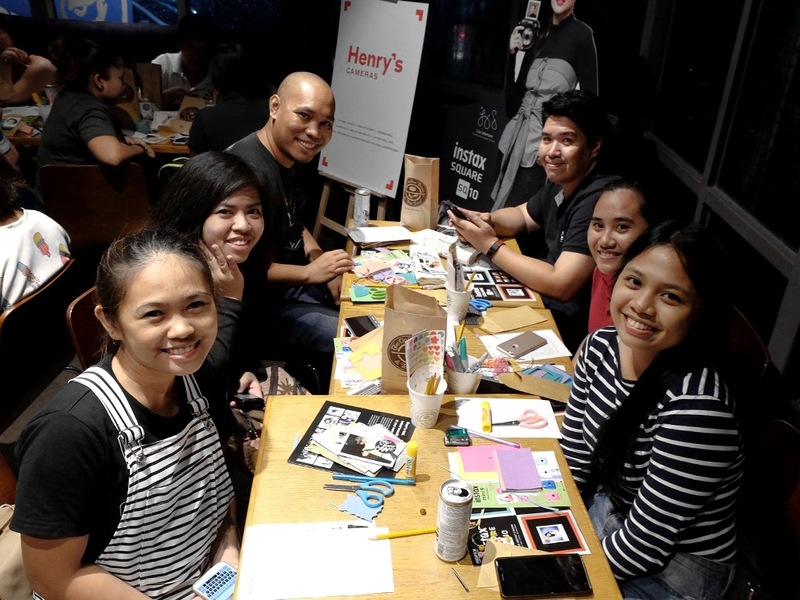 Exactly one week ago, the Instax Team held its first ever Coffee & Crafts session in partnership with Henry’s Cameras at the Coffee Bean & Tea Leaf in Adriatico, Malate. Despite the heavy rain, crazy Friday night traffic and fire emergency a few blocks away from where we were, all 50 people who signed up made it to the event safe and sound. 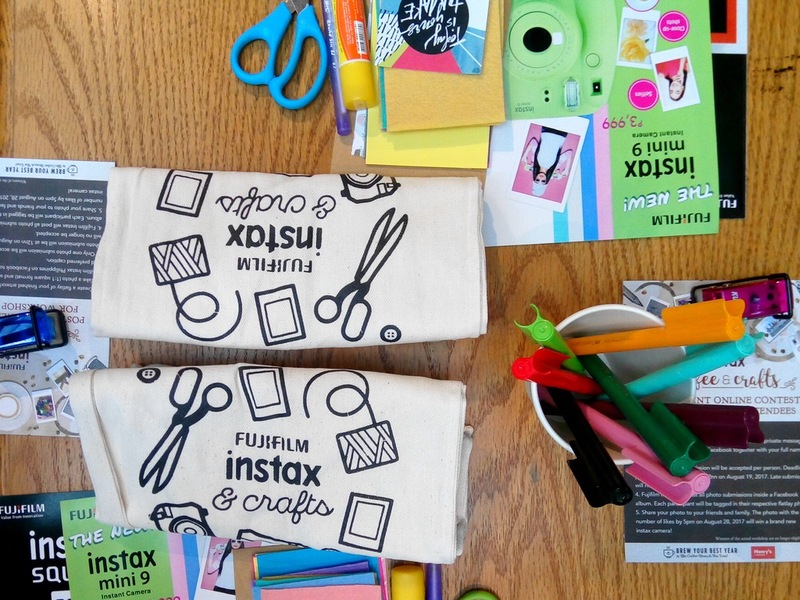 As that night’s Craft Master, I prepared and taught two fun and easy projects to do with Instax photos. 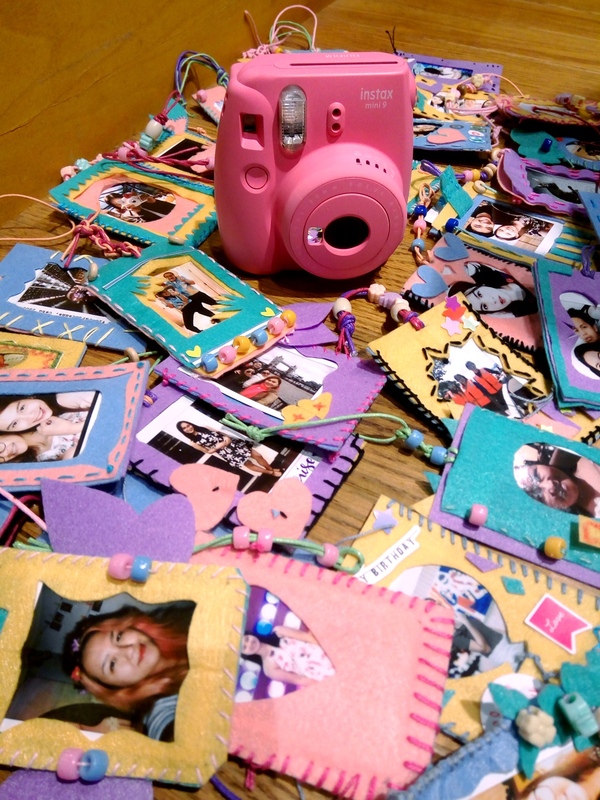 The first one were Instax bag charms made with felt. They hang on your bag like bag tags but instead of personal information, they contain faces of your favorite people or a snap from a special day, which I thought was a cute way to accessorize a knapsack or purse. They serve as a conversation starters too! The second project were mini thematic memory books. 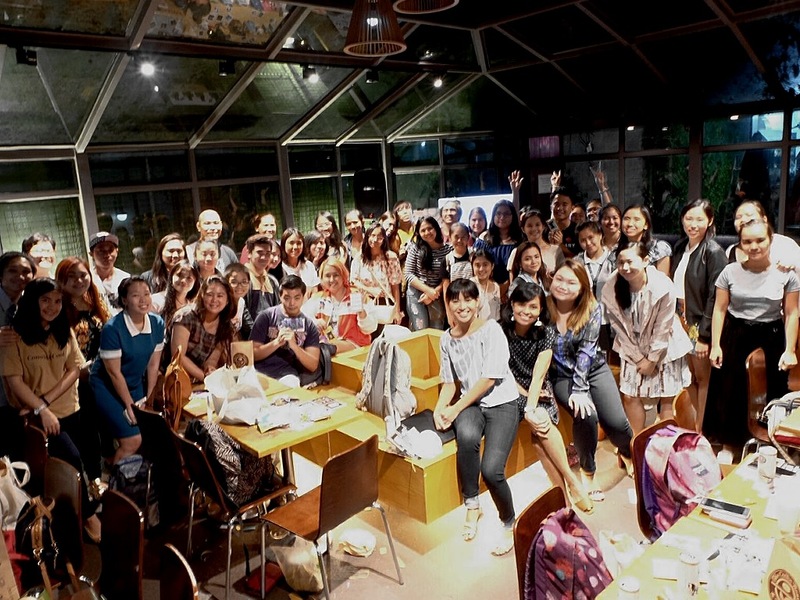 They’re basically little scrapbooks one can easily throw together in under an hour and be given away as souvenirs to friends after a memorable trip or celebration. I was impressed by how creative and committed to making all the participants were! They put their own twist to the projects and really made the most of the materials provided them. 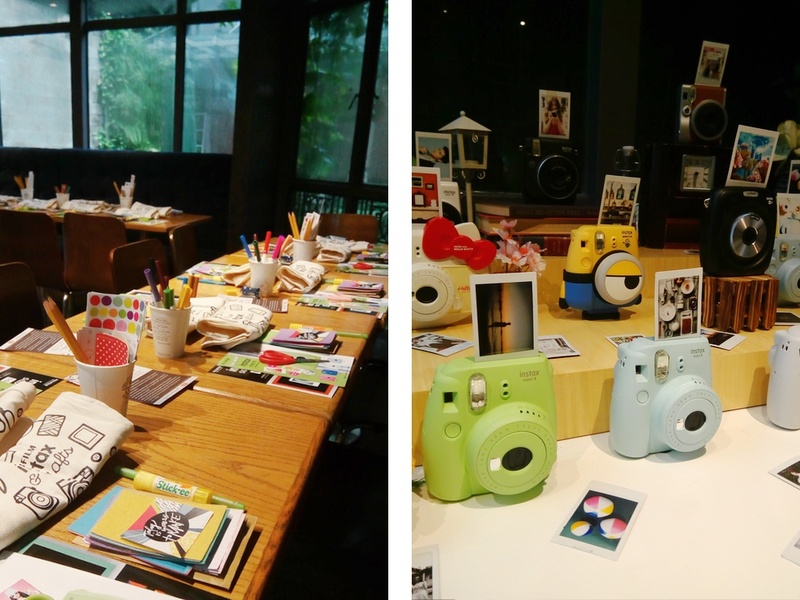 In the end, when it was time to pick the best projects whose owners get to take home new Instax Cameras, we had the toughest time! They all did such a good job. But we did end up deciding on two winners, one for each project. First winner took home an Instax Mini 8 and the second one took home an Instax Mini 7s — big thanks to Henry’s Camera and Fujifilm! 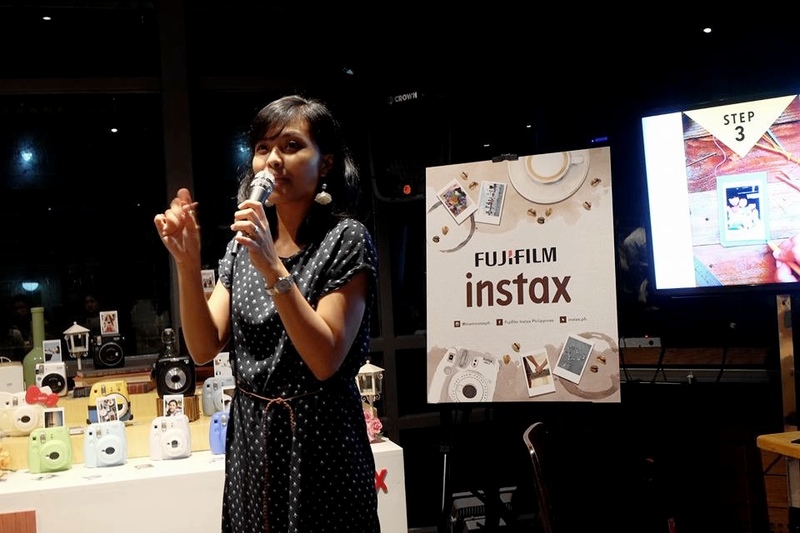 I’m happy to have been involved in this event and, once again, have the opportunity to share my love for crafts and memory keeping with others (Big thanks Fujifilm Instax!!!). The preparation was just as enjoyable for me as conducting the actual workshop. 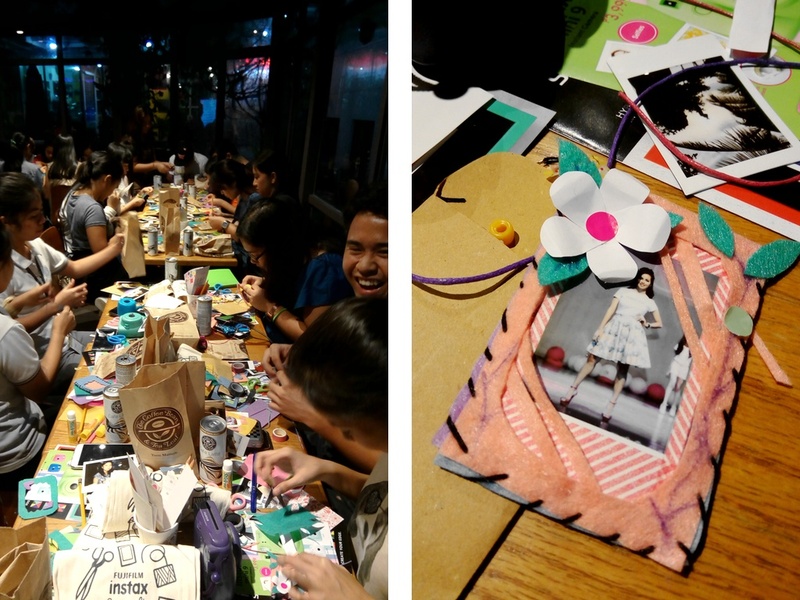 In case you missed it, don’t fret because Team Instax PH has many more Coffee & Crafts sessions in store for the rest of the year. What’s great about these workshops is that they’re completely free. Signing up not only gets you a slot but also includes materials, snacks and five Instax photos you get to print on the spot. It’s definitely a treat! So follow them now on Facebook (Fujifilm Instax Philippines) and Instagram (@teaminstaxph) so you get instant event updates. 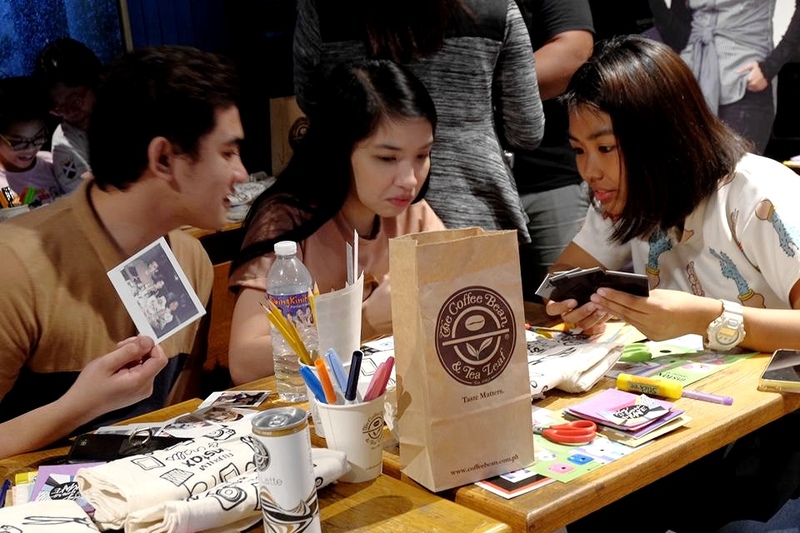 Hope to see you at the next Instax Coffee & Crafts!